MakerBot is already a household name in the 3D printing community, and their next invention will make it easier than ever to create 3d printed objects. According to Engadget, the company is planning to launch its new Digitizer next week, which will allow anyone to scan and reproduce objects using a MakerBot Replicator 2. First unveiled at this year’s SXSW, the device is able to turn small objects into 3D design files within a matter of minutes. This will allow DIY enthusiasts to quickly recreate items without the need to dabble in code. The new Digitizer looks a bit sleeker than the model showcased at SXSW, with cleaner lines and a more user-friendly interface. 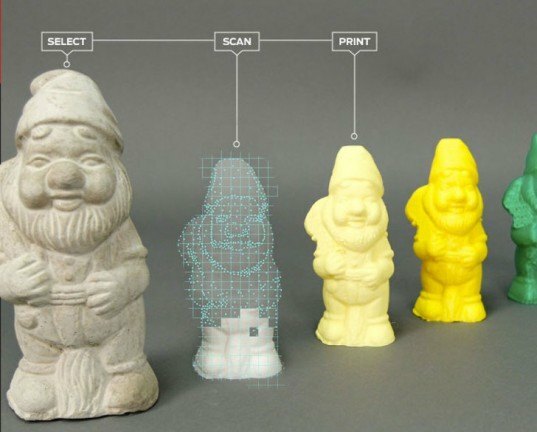 The SXSW version is able to scan objects eight inches in height and width, and the latest incarnation is expected to have similar specifications. All scans are rendered in standard 3D files that are compatible with many modeling programs, such as Autodesk’s free MeshMixer. MakerBot has yet to name a price point, but it is hoped that it will be comparable to their Replicator 2. 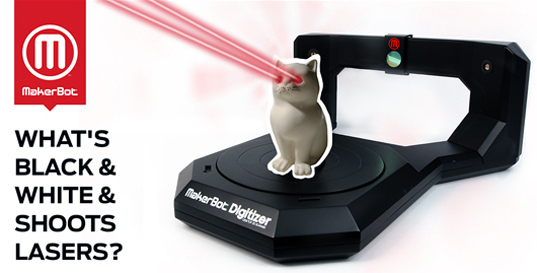 To be the first to get your hands on a Digitizer, head over to the MakerBot website! MakerBot is already a household name in the 3D printing community, and their next invention will make it easier than ever to create 3d printed objects. According to Engadget, the company is planning to launch its new Digitizer next week, which will allow anyone to scan and reproduce objects using a MakerBot Replicator 2. First unveiled at this year's SXSW, the device is able to turn small objects into 3D design files within a matter of minutes. This will allow DIY enthusiasts to quickly recreate items without the need to dabble in code.